The other day, I started listening to Google Music’s personalized music stream. I am suitably impressed. The AI is… uncanny. Sure, it picked songs that I expressed a preference for, such as songs from the golden age of radio that I happen to enjoy. But as I continue listening, it is presenting an increasingly eclectic, enjoyable selection. Some of it is quite new, from artists I never heard about, yet… it’s music I like. For some reason (maybe because I am in Canada? Or because it knows that I am trying to improve my French? Or was it a preference I once expressed for Édith Piaf?) it started presenting a whole bunch of French music, and again… some of it is quite likable. 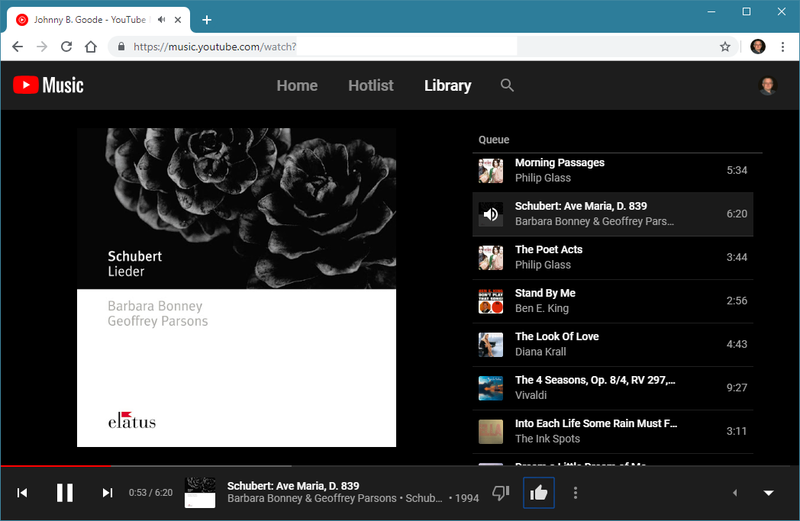 And now that I purposefully sought out a few classical composers, the AI realized that it can throw classical pieces at me as well, which is how I am suddenly listening to Schubert’s Ave Maria. As a matter of fact, the eclectic choices made by Google’s AI remind me of two radio programs from the CBC’s past, long gone, long forgotten by most: Juergen Goth’s Disc Drive and Laurie Brown’s The Signal. Both these shows introduced me to music from excellent artists that I would otherwise never have heard about. And now Google’s AI is doing the same thing. I am also getting the sense that the more I listen, the bolder the AI becomes as it makes its choices. Instead of confining me to a bubble of musical genres of my own making, it is venturing farther and farther away from my presumed comfort zone. Which is quite impressive. But also leaves me wondering how long before our machine overlords finally decide to take over.